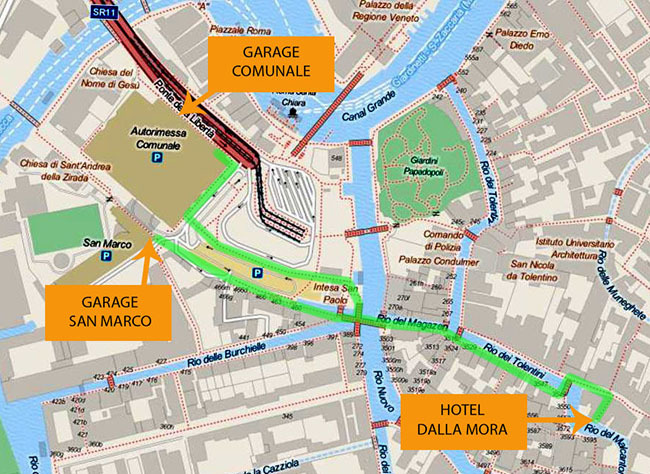 The closest garages are the San Marco Garage and the Garage Comunale (Municipal Garage), both found in the Piazzale Roma, from where the hotel can be reached in 10 minutes. Porters are always available to help with luggage. 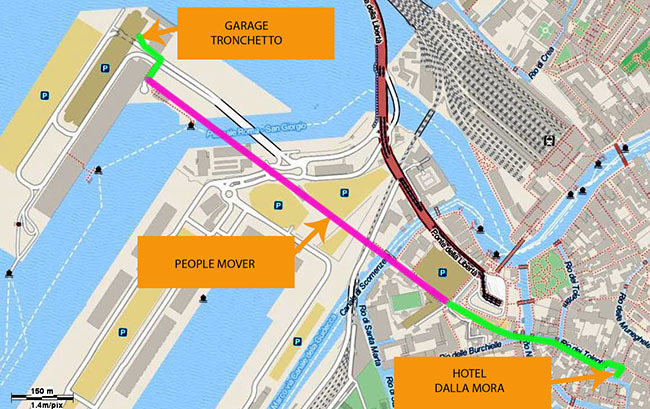 A bit further away, but still inside the city of Venice, is the Tronchetto Garage, from where you can take the “People Mover” train to the Piazzale Roma, which is only a 10-minute walk to the hotel. Just before the bridge that connects the mainland with Venice, there are the GREEN PARK (tel. 041-5317315) and the AI PILI (tel. 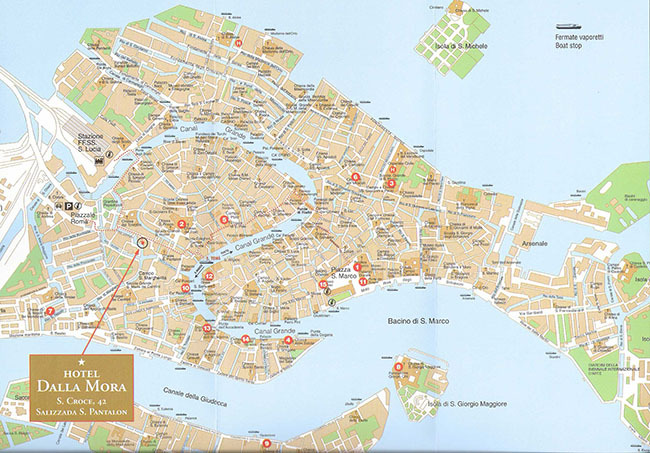 041 988290) facilities, supervised outdoor parking lots from which Venice is only a 5-minute bus ride away; from there, it takes 10 minutes to reach the hotel by foot. 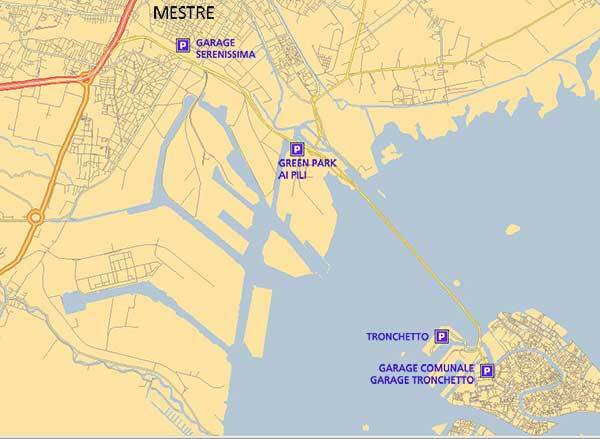 The last recommended garage, the La Serenissima Garage (tel. 041-938021), is found in the city of Mestre, across from the railway station. 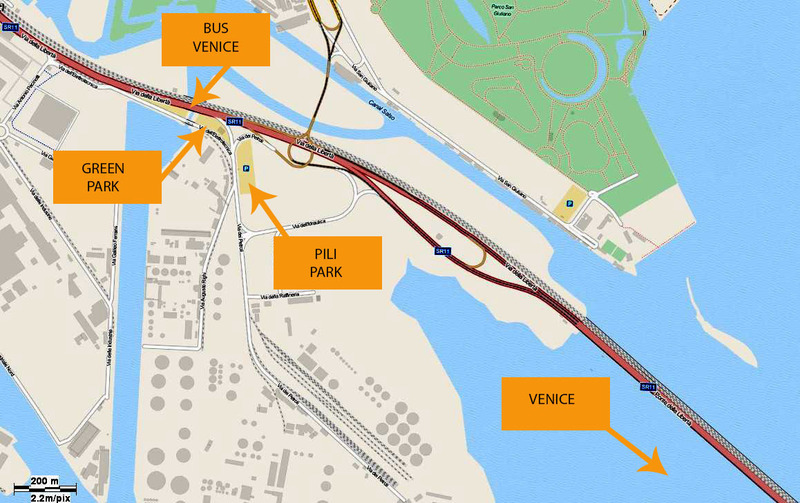 From here, you have to take the train to Venice, a 10-minute trip. Once you get off in Venice, you can walk to the hotel. See the section "arriving by train" for the walking route. This is the walking route for those who park their cars in the Piazzale Roma. This is definitely the most convenient option, but not the most economical. It takes 10 minutes to walk to the hotel. This is the walking route from the Tronchetto Garage to the Hotel Dalla Mora. It includes a portion on the “People Mover” train. Click here for information on the People Mover. Here is where the two outdoor but supervised parking lots located just before the bridge to Venice are found. They are economical, and nearby is a bus that reaches Venice in just 5 minutes. This is the "La Serenissima" garage in the city of Mestre, located right across from the train station. It is a roofed facility, but less costly than those in Venice, which can be reached with a 10-minute train ride.